Sun Valley Tour de Force was a weekend of epic proportions! 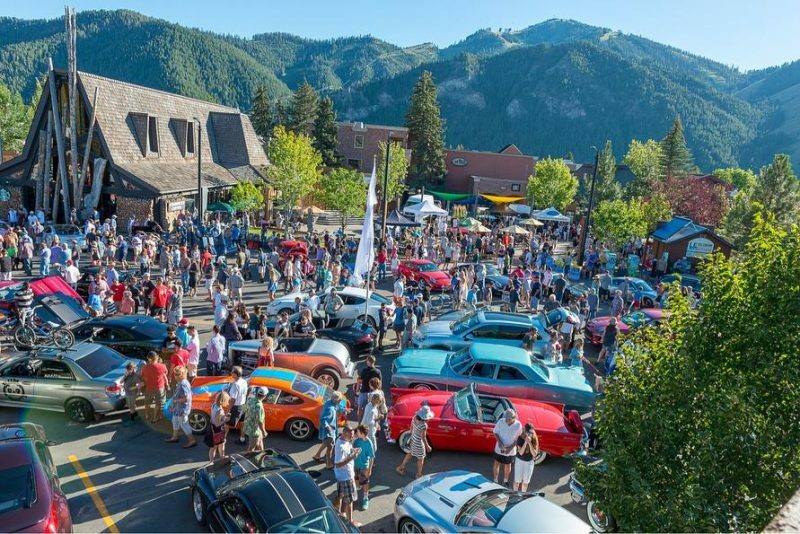 On a Friday evening, in late July, the Sun Valley Tour de Force Car Show was home for up to 200 cars as they gathered on the closed streets surrounding Ketchum Town Square. Exotics, vintage as well as cars participating in Saturday’s high-speed event were on display, offering an excellent preview and photo opportunity for guests. On Saturday, a high -speed event was held on a closed public road just minutes from the Sun Valley resort. Spectators enjoyed the thrill of watching the cars barrel down Highway 75 at Phantom Hill, surrounded by the Sawtooth Mountains. Driving at speeds up to 200 mph is not something to be taken lightly, so event organizers made every effort to make things as safe as possible. They were great about inspecting vehicles before the ride as well as giving a briefing on safety. Interested in going next year? This year a 2017 X6M built by Restoration Rods in Boise, was in Sun Valley. 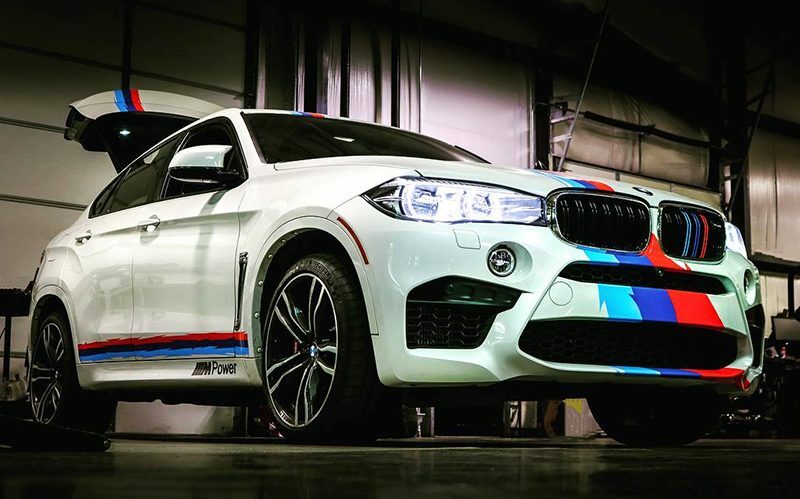 Organizers say it is the most powerful BMW X6M in the world. With more than 1,000 horsepower, the team expected that it would exceed 200 miles per hour at Phantom Hill. Sun Valley Tour de Force is produced by Intrepid Events, Inc. an Idaho nonprofit. Inspired by Maya Blix and Whitney Slade Intrepid Events aims to create events for the community that support local businesses, offer unique experiences for locals and visitors and gives back to causes making a difference in the community. Sun Valley Tour de Force is the first event to launch with this group. Funds raised during the Sun Valley Tour de Force weekend will support Idaho BaseCamp’s Outdoor Adventure fifth-grade program. The public-school students enjoy several nights of outdoor adventure education, free of charge, at Idaho BaseCamp’s headquarters outside of beautiful Mackay, Idaho. For many students, this is their first experience attending an overnight camp and their first-time camping. This event is FREE for all spectators.